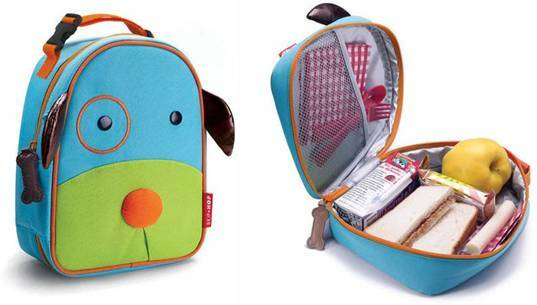 With friendly animal faces, bright colors and the cutest matching zipper-pulls ever, Zoo Lunchies from Skip Hop make lunchtime a lot more fun. Zoo Lunchies reusable lunch bags are sized perfectly for little kids, or for a mama and tot on-the-go. 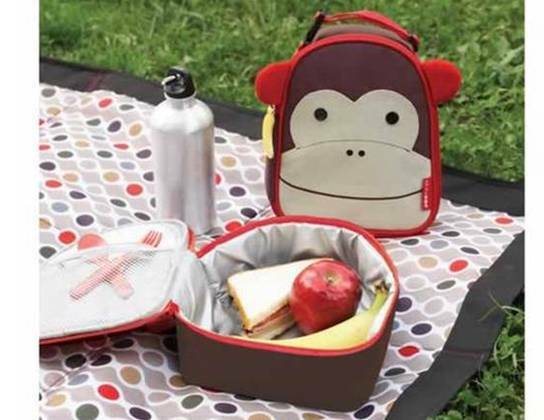 Each soft Zoo Lunchie features a roomy main compartment for sandwiches, snacks, drinks and more, an insulated, wipe-clean interior to keep food and drinks fresh and cold, plus an inside mesh pocket for holding lunch money, an ice pack or utensils. BPA-free, phthalate-free and PVC Free. Easy clip-on handle attaches securely to any backpack. Top handle clips onto other bags. Write-on nametag inside the lunch bag. 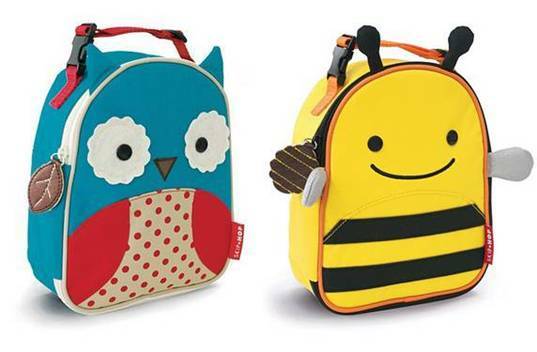 This lunch bag will soon become your child’s favorite take-along for school, the park and more; although she may be hard-pressed to choose her favorite animal pal in the collection which includes cute options like an owl, bee, penguin, mouse and more.